Photo courtesy of the City of West Palm Beach. Tee up at Glow Fore It Mini Golf on the Waterfront during the month of December. That’s right, from December 1-31, players can tee up along the scenic Intracoastal Waterway with 9-holes of glow-in-the-dark mini golf. Competitors can putt around during the day on Saturday and Sunday, or wait until the course lights up at night with neon balls, holes and clubs. 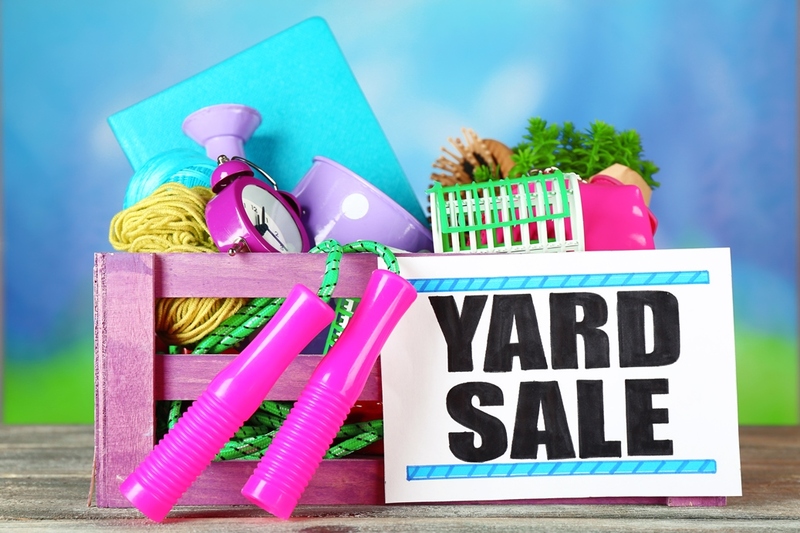 Open Monday – Friday from 6:00 p.m. to 10:00 p.m.; Saturday and Sunday noon to 10:00 p.m. Cost: $2.50 per person, per round, Thursday – Sunday. 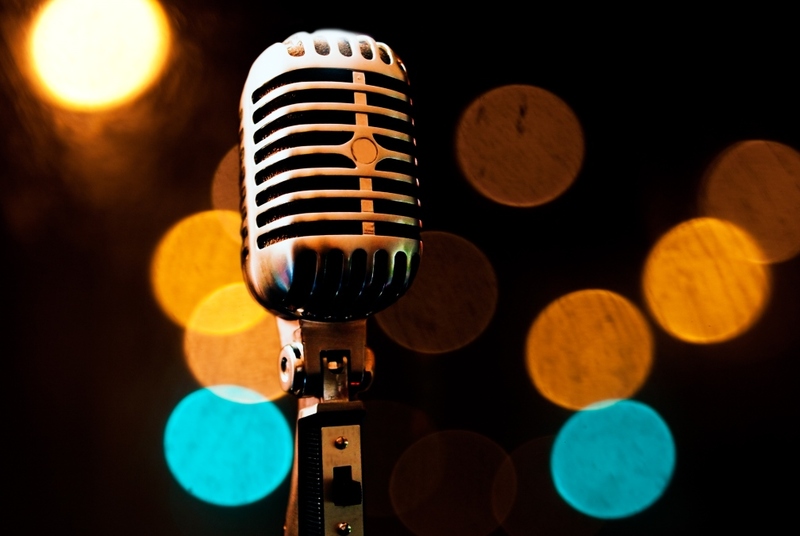 On Wednesday and Thursday nights, patrons will feature a live DJ spinning favorite jingle jams. 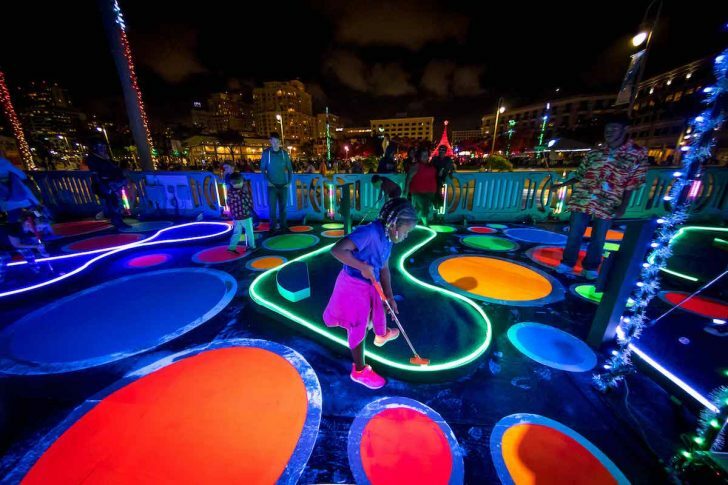 The Glow Fore it Mini Golf takes place along the Intracoastal Waterway on Flagler Drive across from the Great Lawn. 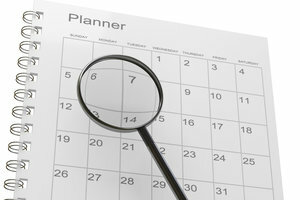 For more holiday activities, be sure to view our post Free and Cheap Holiday Events in Palm Beach County.